Hello! Today I am continuing on with the Nine Zero Lacquer monthly polishes from the 2016: A Year In Review Collection. If you missed my swatch of 'June 2016' last month, you can find that post here. Read on for my swatch of 'July 2016', and for more info! 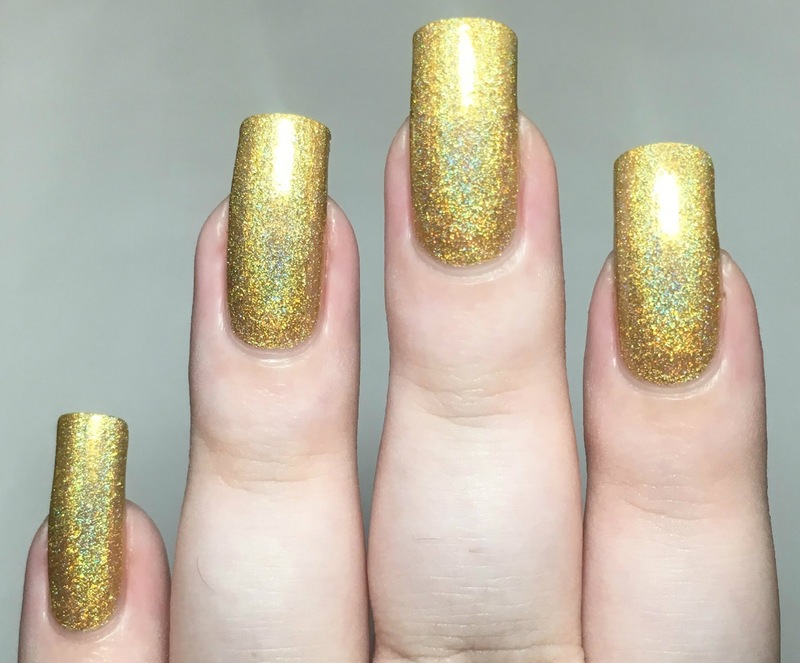 'July 2016' is a gold holographic with added holographic silver microglitter. It is described as a 'warm gold'. The formula is lovely and smooth, and very easy to apply. The first coat does start off slightly sheer, but a second builds it up to be fully opaque. As with the other monthly polishes, a topcoat helps bring out the sparkle from the glitters. Below is two coats with topcoat. What do you think? I'm not always a massive gold fan, so this is probably the monthly polish that I was expecting to like the least. Surprisingly though, I actually really like it! It's a lovely shade of gold. I do sometimes find it hard to find a gold that suits my pale skin tone. I'll definitely be reaching for this one again! 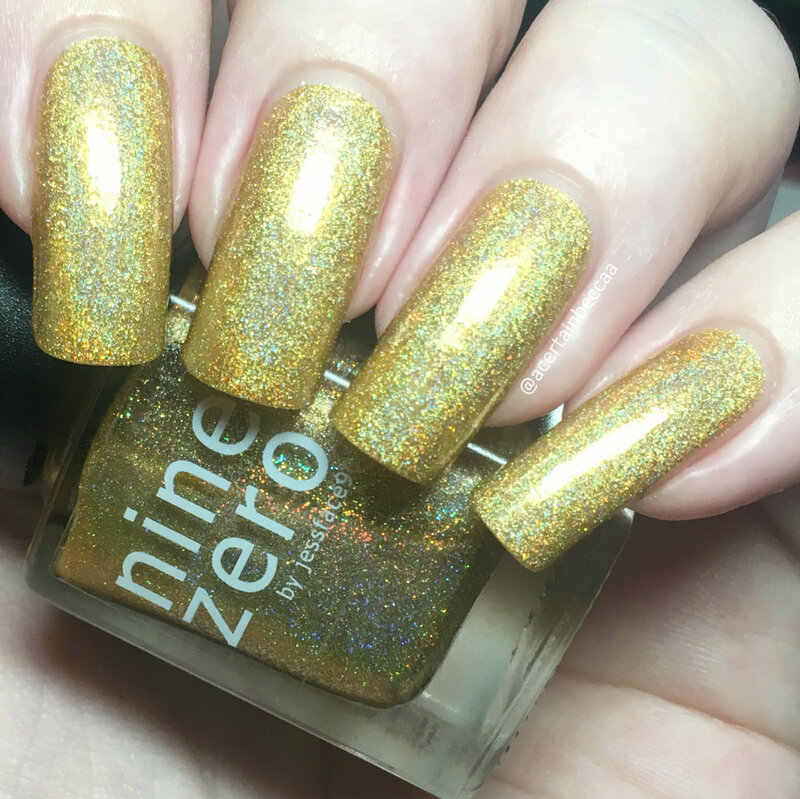 You can find 'July 2016' on the Nine Zero Lacquer website here.